The year is almost over, and the holiday season has already begun! Of course, it started in October, as far as stores were concerned. Officially, is a different matter. In celebration of all things celebratory, we have three great authors to chat with. First up is Author God-Son, owner of God-Son Publishing and author of The J Wilkenson Story: Thirteen Going on Thirty Five. We’re delighted to have him on the show. Welcome God-Son! Next is no stranger to the show. Karen Vaughan is the author of comic mysteries, predominantly her lively Laura and Gerry books, as well as Holmes in America and Dead Comic Standing. 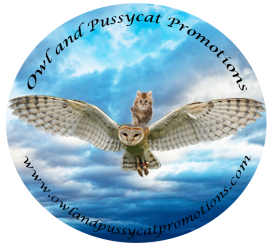 She also helps promotes other authors, not only with her Writer’s Roundtable show, but with Owl & Pussycat Productions. Welcome back, Karen!